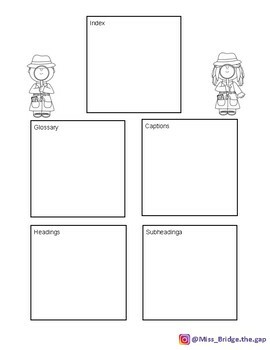 In this activity, students us the activity worksheet to search for different nonfiction text features in their books or articles. 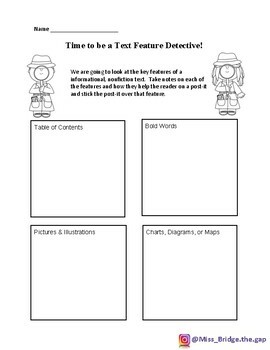 They record findings or take notes on each of the features form the context of their books in order to learn more about each feature. Great inquiry lesson, and also can be used to reinforce features and locating them for small strategy groups or struggling students.